About forty-five years ago, a Peace Corps volunteer was deployed to a remote South American village. For those who don’t know, the Peace Corps is a program run by the US government in which volunteers travel to impoverished countries to provide technical assistance. Moritz Thomsen, the author of Living Poor, wound up in a tiny village called Río Verde on the coast of Ecuador. He stayed four years, teaching about agriculture and learning about human nature. My parents have been nagging me to read Living Poor for years. My grandfather and some of my uncles were personally acquainted with Thomsen and some of the people he describes in the book. A phrase from the book, the sadness of the rats, is used by my family to refer to loneliness or melancholy. Although I prefer fiction to nonfiction as a rule, I decided I should read Living Poor to oblige my family and figure out what exactly the sadness of the rats is supposed to mean. The book gives vivid descriptions of places, but the best descriptions are of people. The author manages to convey a sense of the lives of the people of Río Verde—the resigned weariness and quiet desperation, the superstitious blend of religion and folklore, the myriad affections and squabbles and jealousies of village life. It’s a touching picture of people in poverty, a picture that could be applied to villages across the world. Despite the jabs of humor, the prevailing tone of Living Poor is one of cynical resignation. The author’s initial optimism and idealism fade in the face of poverty and misfortune and the poor, ignorant, stubborn villagers he must contend with day after day. 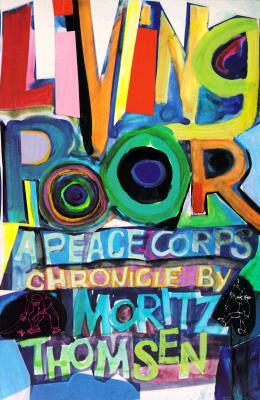 Living Poor is definitely worth reading, particularly by anyone remotely interested in poverty or third-world culture. It’s the sort of book that makes the reader think and laugh and cry. The style is great, but—as its title suggests—the book’s greatest strength is the vivid impression it conveys of what living poor is like. This entry was posted in Literature and tagged book review, Ecuador by Adam Stück. Bookmark the permalink.